GCC Standardization Organization (GSO) is a Regional Standardization Organization (RSO) established by the resolution of the GCC Supreme Council (22nd Session, Muscat, Oman, 30-31 December 2001). GSO operated in May 2004 and its Headquarter is located in Riyadh, Kingdom of Saudi Arabia. Standards play a key role in supporting economy, protecting safety and health of consumers and environment, and improving our quality of life. Measurements play an important role in the stability, development and prosperity of any society and enhance confidence in measurements, supporting trade, protection of citizens’ rights and the preservation of their health and safety. Conformity assessment involves a set of processes that show your product, service or system meets specific requirements. Conformity Assessment provides consumers and other stakeholders with added confidence and it gives your company a competitive edge. Sharing ideas and experience with others can provide a springboard for making change happen. GSO Board of Directors in its 10th meeting (Muscat, 24 May 2009) approved the Technical Regulation for Gulf Conformity Marking. In pursuance of reducing the technical barriers of trade and facilitating the free movement of commodities across borders within the GCC member states, the Gulf Conformity Marking has been devised as a principle mean to realize those targets. The marking is not a quality mark, but rather a marking that signifies the conformity of products at least to the essential requirements of health, safety and environment. Affixing of GCC conformity marking will be compulsory for products categories that will be the subject of GCC Technical Regulations. Priority has been given to regulations pertaining to toys and low voltage devices. The technical regulations shall determine the conformity assessment procedures that should be applied by the manufacturer or a Notified Body, as a third party that is brought on board to carry out the conformity assessment procedures as stated by the technical regulation in relation to every product category. The Conformity Marking signifies the manufacturers’ fulfillment of all GCC regulatory requirements. The Gulf Conformity Marking confirms the compliance of industrial products with the GCC technical regulations. The concept of conformity is not restricted to the essential requirements pertaining to safety, public health, consumer safeguarding …etc. Sometimes, given regulations may entail certain commitments that may not part of the essential requirements. 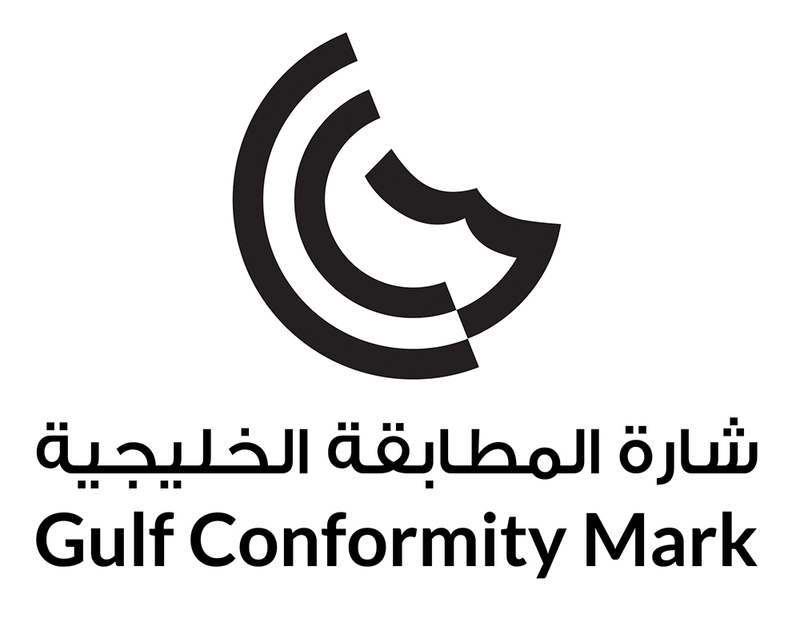 Affixing of the GCC Conformity Marking on products means that natural or legal entity that undertakes the action of affixing or assumes the responsibility of marking affixing assured that the concerned product is compliant with the whole requirements of the relevant regulations that are applicable to the product. The marking also signifies that the product has passed the adequate conformity assessment procedures. In case of having more than one applicable GCC technical regulation, the GCC Conformity Marking means that products are in full compliance with the requirements of all such regulations. The regulations to which products are amenable should be accordingly recorded on the label of the products. Any product amenable to the GCC technical regulations should bear the GCC Conformity Marking to be put on the GCC markets. In case of exceptions in the context of the GCC technical regulations, the exceptions will just be applied on administrative basis in relation to some products that may not admit such regulation due to impracticality or forbidding economic factors. A case in point is the products that have little or no significance as far as health, safety or operational risks are concerned. The Member States should be notified of such exceptions by the GCC Standardization Organization (GSO). The GCC Conformity Marking should involve the identified shape in the Technical Regulation: In case of minimizing or maximizing the GCC Conformity Marking, the ratios illustrated in the diagram should be taken into consideration. If the concerned regulations do not prescribe given dimensions, the GCC Conformity Marking should be of at least 5 mm high. The GCC Conformity Marking should be affixed on products or printed on the label of products. In case of inapplicability or unavailability due to products nature, the marking should be printed on packaging (if any), or even on the enclosed documents in accordance to what is stated in the relevant regulations in that respect. The marking should be affixed in a clear, legible, permanent, inerasable manner. The marking should be affixed at the end of the products control stage. The GCC Conformity Marking should be accompanied with the identification number of the notified body (refer to the notified bodies guide for more information on identification numbers). It is strictly prohibited to affix other marks for a purpose of deceiving or emulate the Gulf Conformity Marking. Any given product could bear other marks that may signify conformity to national or international standards provided that they will not cause any confusion with the GCC Conformity Marking. Other marks could be affixed on the product or the packaging or the accompanying documents provided that they will not cause any constriction that may tamper with the readability and legibility of the GCC Conformity Marking. The GCC Conformity Marking should be affixed by the manufacturer or his/her agents or legal representatives in the GCC markets. It may also be affixed by the person in charge of putting products on the GCC markets if this is mentioned in the GCC technical regulations. The manufacturer or his/her agent in the states of the Gulf Council should declare that they have affixed the Gulf Conformity Marking after fulfilling the relevant requirements (Model testing, quality system implementation,…. etc). The declaration assures that products are compliant with the essential requirements and conditions stated in the GCC technical regulations or it attests that the products are conforming to the model tested by a notified body. The declaration should be retained for a period not less than 10 years since the manufacturing date unless the GCC technical regulations state otherwise. The name of either the manufacturer or his/her agent in the states of GCC. The identification of the product (Name, Type, Model Number or any other data like the serial number …etc). The standards and technical guidelines that were applied during designing and manufacturing of the products. Any further data pertinent to products grades or categories (electric appliances) …etc. The name and signature of the person legally responsible for products (e.g. manufactures, legal representatives at GCC member states). A declaration indicating that this document has been issued at the manufacturer’s responsibility (or even the responsibility of legal representatives). The identification of the person who signs on behalf of the manufacturer or his/her agent. The declaration may comprise other information like the name, address, number of the body that undertook the actions of testing and the name and address of the person who is in charge of keeping the declaration pertinent to the product. In case there is more than one GCC technical regulations applicable to the product, the manufacturer could issue a single declaration comprising all the fulfilled GCC technical regulations. The declaration shall be made available to the concerned control and market survey bodies in the Member States upon request. We had welcome your feedback! Thank you so much for visiting our website. Help us to improve your experience by taking our short survey. By clicking Yes, you will be redirected to the survey page.